When you decide to build, one of the greatest parts is the ability to create a house to fit you, your family, and your lifestyle. You can choose the colors and design that suit your needs and wants. Plus, you can splurge a bit and get those “luxury” items you have always wanted. As we sat down and looked at all of the design choices, we were able to find that many of the colors and options we wanted were “Level 1” items. This meant we didn’t have to pay a premium for the options we chose. 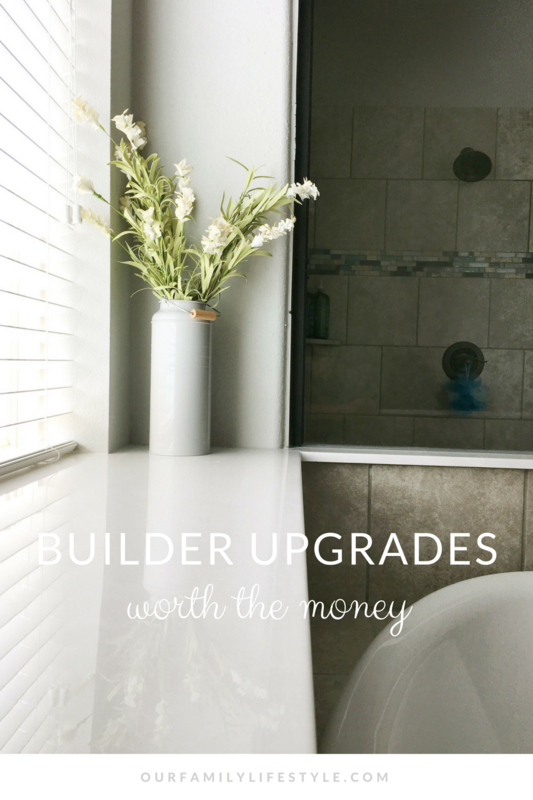 But, there were some things we wanted that were (to us) worth the upgrade. The house we have lived in for the past 6.5 years has the smallest shower ever. It’s a tiny square barely large enough to turn around in. Colby hated it. 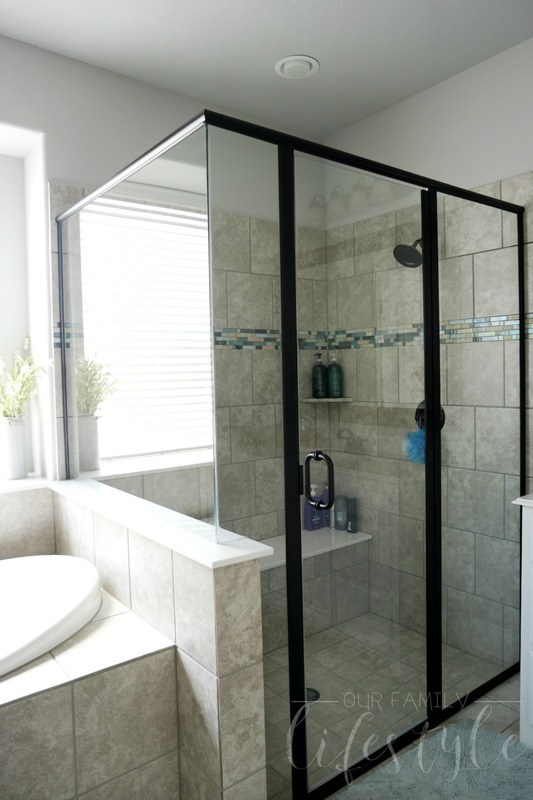 Therefore, while looking at our floorplan,our sales consultant and contractor were able to move some walls and create a large, custom shower. Colby’s first experience in there was majestic , to say the least. He didn’t want to get out and quite literally outstretched his hands and spun as though he were signing from the hills of Germany. Of course, I may poke fun at him, but I got one of my biggest wishes as well. 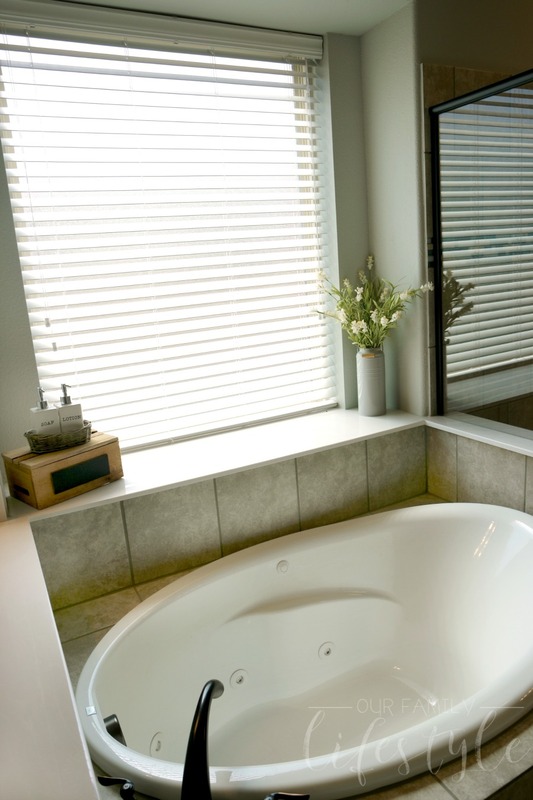 A jetted tub. Due to scoliosis, I live with constant back pain. Those jets help take the edge off those aches and I have always dreamed of having them at my disposal. Our first night in the house, after spending 17 hours moving, I could think of nothing else but soaking in that tub. It was heavenly and definitely the stuff dreams are made of. The kitchen is often the heart of the home. Memories are made around the food and fellowship that comes from within it’s walls. We had a certain look in mind, and watched as it progressed into a place where recipes are created and savored. 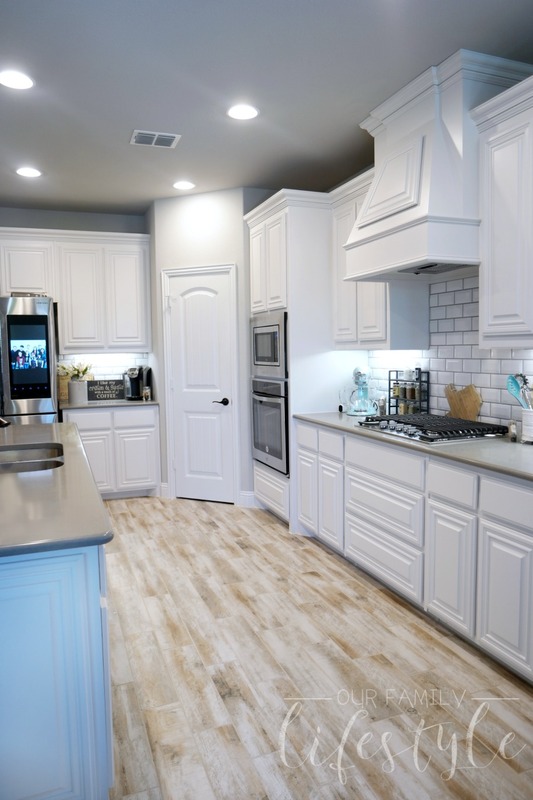 From the high cabinets to soft-close doors and under-cabinet lighting, this is a kitchen from whence magic will come! If you enjoy spending as much time outside as we do, this will be a game changer. We not only extended the front porch, but the back as well. 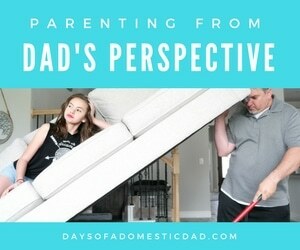 It’s not the wraparound porch I have always wanted, but it gives me the space I need to watch my children play. 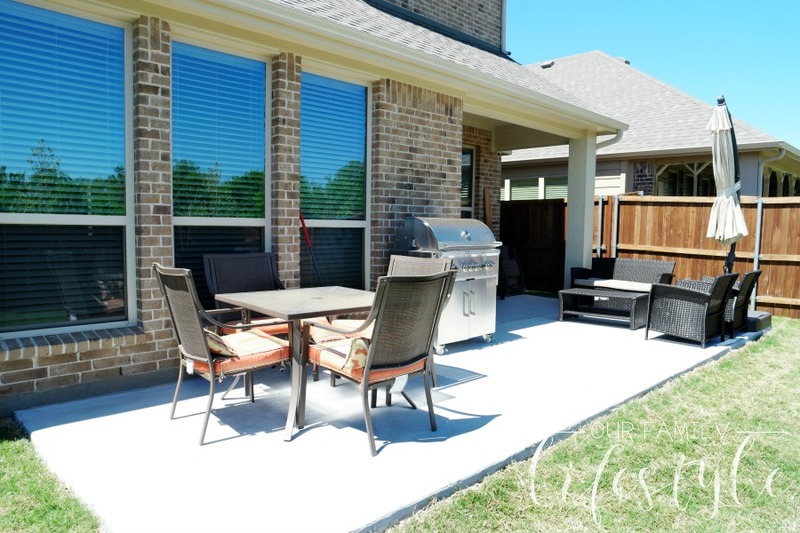 Plus, the back patio not only has space for Colby’s cherished grill, but we can have two distinct areas for outdoor entertaining. One for sitting and one for eating. 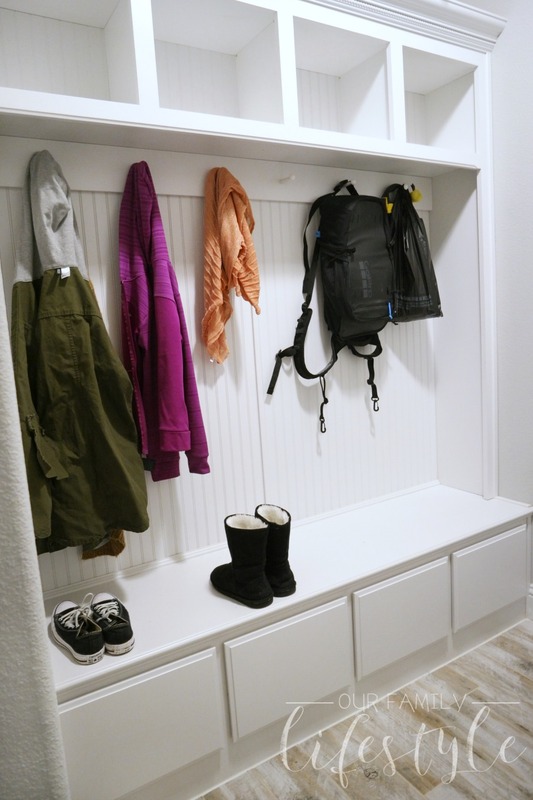 Okay, this may not be a big deal for everyone, but with a big family like ours, having a mudroom was a must. Our floorplan didn’t include one, but our sales consultant had an idea! There was a large closet in the upstairs hallway between the girls’ rooms. A closet we didn’t really need, because, let’s be honest, it would simply be a catchall place for things the girls didn’t want to look at. So, we moved the utility room in there and created a mudroom where the original utility room went. Right inside the garage door entrance. Y’all. It’s perfect! I literally almost cried the first time I opened the door and saw it. It made the headache of botched plumbing all worth it. Again, building a new home allows you to design a house meant for you. Don’t forget to include elements that make the house a home—your home. Disclosure: Our Family Lifestyle is a participant in the Amazon Services LLC Associates Program, an affiliate advertising program designed to provide a means for sites to earn advertising fees by advertising and linking to amazon.com.